Writing with unusual candor, Lee draws upon his own journey from atheism to Christianity to explore the depth and breadth of God's redeeming love for spiritually wayward people. He travels thousands of miles to capture the inspiring stories of everyday people whose values have been radically changed and who have discovered the "how" and "why" behind God's amazing grace. You'll encounter racists, addicts, and even murderers who have found new hope and purpose. His best book so far, & Case for Christ was great. 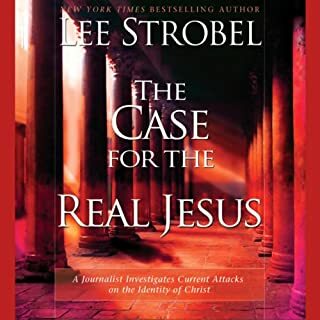 Lee Strobel's trademark investigative style paired with an uplifting message of the hope found in Jesus Christ. Lee's timeless message walks listeners through why holding on to hope is so crucial, why we can trust in the hope of Jesus Christ, and how that hope can change our lives for the better. 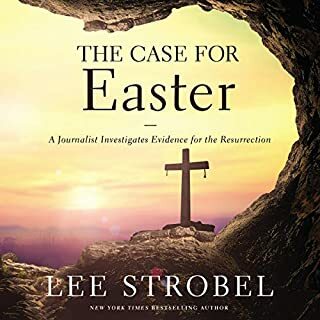 Lee Strobel has already helped millions delve deeper into their faith and investigate the how and the why of what they believe. Who was in the manger that first Christmas morning? Some say he would become a great moral leader. Others, a social critic. Still others view Jesus as a profound philosopher, a rabbi, a feminist, a prophet, and more. Many are convinced he was the divine Son of God. Who was he, really? And how can you know for sure? Consulting experts on the Bible, archaeology, and messianic prophecy, Lee Strobel searches out the true identity of the child in the manger. Lee Strobel presents 13 phenomenal claims by God that can change the entire trajectory of your life and revolutionize your attitude, your character, and your relationships. Take the Bible seriously and you'll discover that God makes some pretty amazing claims about you, and about what he wants to do in your life. God's Outrageous Claims examines important assertions that can transform your life into an adventure of faith, growth, and lasting fulfillment. 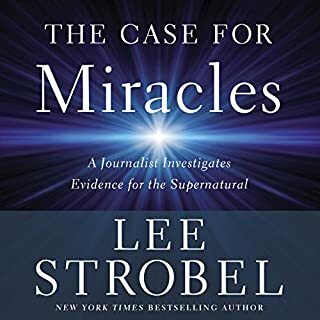 In this New York Times best-selling book, award-winning Chicago Tribune journalist Lee Strobel investigates and unpacks the scientific evidence that points toward God. 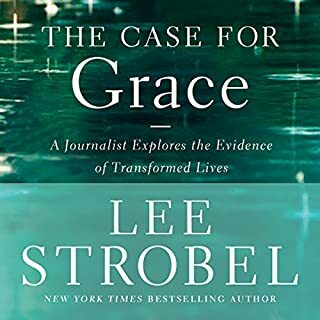 During his academic years, Lee Strobel became convinced that God was obsolete, a belief that colored his ensuing career as an award-winning journalist at the Chicago Tribune. Science had made the idea of a Creator irrelevant - or so Strobel thought. But today science points in a different direction. A diverse and impressive body of research has increasingly supported the conclusion that the universe was intelligently designed. At the same time, Darwinism has faltered in the face of concrete facts and hard reason. Has science discovered God? At the very least, it’s giving faith an immense boost as new findings emerge about the incredible complexity of our universe. Join Strobel as he reexamines the theories that once led him away from God. Through his compelling account, you’ll encounter the mind-stretching discoveries from cosmology, cellular biology, DNA research, astronomy, physics, and human consciousness that present astonishing evidence in The Case for a Creator. Suggested reading, study guide, and end notes are available in the audiobook companion PDF download. Here is a book by one of my favorite authors who does his customary, excellent job presenting the facts in support of the Biblical account of creation. He does not fall into the trap of "young Earth" creationism, but acknowledges that God cared enough to create a world that was perfect for human life, even though it took Him billions of years to prepare stars with just the right materials to sustain carbon-based life forms (i.e. all the living creatures including us). 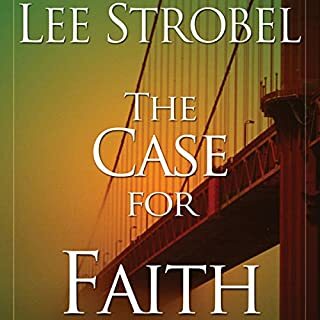 There are books that treat this subject in more depth, but Lee Strobel's style of presentation makes it accessible even to the open-minded agnostic. I would highly recommend it. Don't hesitate to purchase this book. Strobel's questions & answers, interviews and overall approach is top shelf. The concepts/ideas dealt with in this book are a great index and introduction to many of the established sciences, pointing towards identifying a transcendent creator as the causal agent for humanity. What could be more applicable to your life than coming to know who God is? If you have struggled with faith issues based on evolution, cosmology, biology, chemistry, philosophy, etc...this book is worth the read. I can think of no greater crime to the "self" than to not explore the information that is available to us today in favor of a personal transcendent creator. Reading this book is a great start on a journey towards learning who we are and how God has finely crafted our universe for the benefit of humanity. I enjoyed the topical approach to the book - having separate chapters deal with biochemistry, astophysics, physics, biology, chemistry, etc... This kept things from becoming too fragmented & disorganized. The interview format of the book also worked well. I appreciated how the author pointed out the fact that many naturalists (agnostic and/or athiest) have trouble reconciling many of the matters addressed in this book. I have come across some of the same references myself (such as Francis Crick's inability to believe that DNA was a result of mere random chance rather than intervention). While I give the book 5 stars without hesitation, I perceived 2 weaknesses. First, Stroebel interviews no "hostile" experts. In his defense, he does quote them frequently and raises their objections with all of the interviewees in the book. Second, I felt that the chapter on consciousness was not up to par with the other chapters in the book. It may be due to the more subjective nature of the topic, but I wasn't as impressed with this chapter. However, these minor points do not detract from what is a fantastic book! I'd recommend this book to two distinct groups of people: (1) Those who are Christians, but find themselves uneasy based on the perception that science has undermined all that they believe and (2) Those who are not Christians, but want to take an honest look at whether or not belief in a creator has any logical or scientific merit. This is not an exhaustive work, in terms of depth, but cover a tremendous scope of topics. It also provides many sources for further study. As a lifelong academic of both science and engineering I have always seen things in a particular way. When I look at my watch, I believe there to be a watch maker. Likewise, as I have grown to understand the unbelievably complex method by which our world has been constructed, it undoubtably seems that the complexity of the design points to a designer. Also I find it hard to believe it only coincidence that mankind has the ability to comprehend the vast greatness of space and time, but it is hard for me to imagine what type of supernatural being it would require to make it. These realizations, along with many others, are pointed out in great fashion in "The Case for a Creator" I Highly recommend it. 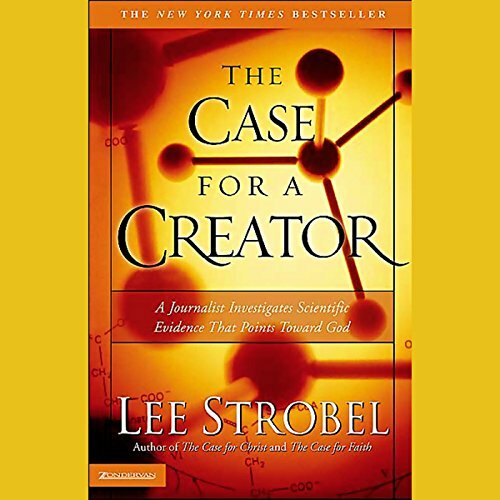 I certinly did not read this book as a skeptic, however I believe that Strobel will get some people to rethink their position on Intelligent Design by using his secular objections to ID. Personally, this book further deepened my relationship with Christ. I thank God that he wonderfully made this world and this book showed in greater detail just how special his creation is. There is a great deal of substance to this book. You will not remember everything but you will come away believing that there is solid support for a creator. Excellent book. Very long and can get very technical. Would still recommend for anybody who is on a religous journey. A very complete study of the Creation controversy. He with the help of many different experts in various fields will help you understand why the account of Creation in the Bible is the ONLY explanation that makes any sense. It will also help you to be able to defend the Faith. A little more technical than "The Case For Christ", but still excellent and not hard to follow. I think Lee does an outstanding job of making the other people speaking in the book come to life. Who knows their accents better than the one who interviewed them. Great work!! Great Audio Version of A Great Book! Where does The Case for a Creator rank among all the audiobooks you’ve listened to so far? I'm into apologetics, and already own a copy of this book. However, it's a fantastic one to have in audio format, especially when read by Strobel himself. Thanks for offering it. What other book might you compare The Case for a Creator to and why? Have you listened to any of Lee Strobel’s other performances before? How does this one compare? No, this is my first. I own several of his books in written form, though. I just really appreciate the content, and it's convenient to have in audio form. What did you love best about The Case for a Creator? I really enjoy creation/evolution topics. I consider "science" in the noun form as one of my hobbies, and as a Christian I find great enjoyment analyzing creationist and evolutionist arguements. I can't really think of book to compare The Case for a Creator to; however I would be willing to say that it serves as a great transcript to the Discovery Institute's "Unlocking the Mysteries of Life" and "Privileged Planet" videos. I do not have a strong background in physics, so the discussions on astronomy and cosmology was pretty fascinating. My strength is in biology and life sciences and there were minor errors which I found distracting. Not really - I have a great familiarity with creationist topics, so I already know what to expect. 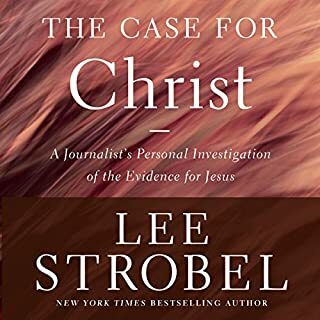 I really enjoy apologetic reads and am quite aware of the ID movement; however I didn't know that Strobel's book was ID in disguise, which didn't disappoint or stop me from finishing the book. Overall, I think the ID movement has been quite aggressive in trying to work their way into the classrooms, almost as 'cloaked creationism.' I have to say that my only complaint with ID is that they refuse to call it for what it is: the scientific search for God's presence within natural systems. Atheists and the like get wound up with ID for this very reason, in my opinion. The good aspects of "Case for a Creator" was how Strobel brought in ID proponents found in various disciplines, such as astrology, biology, and cosmology. He basically interviewed the cast from the Discovery Institute's pro-ID/anti-evolution films "Unlocking the Mysteries of Life" from 2002, as well as "The Privileged Planet" released in 2004. Before moving on to the parts of the book that I had issues with, I need to preface that I have a strong background in biology. The biological features of ID are interesting to me; however I do my best to be skeptical (not in an apologetic sense, due to the negative connotations that the word carries) and seek out information from the scientific community on my own. 1. Michael Behe. I regard Michael Behe as probably the 'black sheep' of the ID movement. He was bold enough to promote his ideas of 'irreducibly complex' biological systems; however his ideas do not stand up in the scientific community. The best example of illustrating the scientific community is to think of medicine. Medical doctors must complete exhaustive research before publishing to the community where the research is reviewed by peers in the community. Upon peer review, the article can be submitted for corrections or amendments and then published at large in scientific journals. Behe is a highly educated individual and knows how the peer review system works. Unfortunately (for Behe), his idea of irreducible complexity has not been able to withstand peer review or publication in any scientific journal. Matter-of-fact, in the case of Kitzmiller v. Dover Area School District, a judge ruled that irreducible complexity is not science (making it pseudoscience). I don't know if it's to save face or what, but Behe will not back down from his idea or even attempt to modify his idea that would withstand peer review and be recognized within the community. 2. Seeded questions. Some of Strobel's questions seemed a little too coincidental and planted. For example, one of Behe's most popular examples of irreducible complexity is the blood clotting mechanism. Strobel happened to have a band aid on his finger to conveniently allow Behe to illustrate his point of the clotting mechanism. 3. Minor, but critical errors. At one point when, I believe when Strobel is interviewing Stephen Meyer or it might have been Jonathan Wells, Strobel references 'ribosomal DNA' which is not used in the correct context. The point that Strobel was trying to make was the structure of phylogentic trees. Carl Woese has recognized a means to construct phylogentic trees among species using rRNA, not rDNA. This seems to be only a minor typo; however there is a big difference in functionality between rDNA and rRNA and have different definitions to a biologist. Another error was when Behe referred to the tail of a sperm cell as 'cilia' when in-fact it is more commonly recognized as flagellum. Again, not major but enough to make a biologist cringe. 4. Case for Consciousness. In the final section, Strobel interviewed a specialist to discuss consciousness and self awareness. Part of me felt like this section wasn't really needed and as far as I can tell has never been a big part of ID. The person interviewed for consciousness went on to say that because we experience feelings and such, then it must be tied to a soul. That train of thought went on to discuss how animals have souls as well, but since they were not made in the image of God then their soul is not eternal. Once the animal dies, then their soul ends as well; however humans made in the image of God will have an eternal soul that lives on. Strobel quickly moves on, but that point did not sit well with me. 5. Geologic Time. The ID platform tends to stretch across Young to Old Earth Creationist, so for I guess for this reason Strobel chose not to address geologic time. I think this is an interesting debate, even among creationists, so I was a little disappointed he did not go into geology. He did reference millions/billions of years when discussing fossils and cosmology & astrology, but he steered away from the issue of time itself. 6. Archaeopteryx. In his interview with Jonathan Wells, Strobel has him go into details regarding the Acrchaeopteryx. My primary issue with Wells is that he described the ancient transitional fossil as a "bird with modern feathers." It is widely accepted by people who dedicate their lives to understanding birds and reptiles that if anything Archaeopteryx is more reptile than bird. I think it's dangerous for Wells to call Archaeopteryx a reptile because of the features shared between both classes. The heavy/solid bone structure, body plan, teeth, etc all point to it being more reptile in nature than birds. Even today these fossils are hotly debated; however I'm not convinced that Archaeopteryx is a bird with modern feathers. Altogether, "Case for a Creator" was a good summary for ID and as the title suggests it was "for" a Creator and not "against." I think it's important for people to know both sides of any story, so I would be careful before using ID arguments to go and pick a fight with an atheist. Pros: great summary of the ID movement capturing everything from the tiniest atoms within a cell to the most distant stars of the universe. Cons: did not need the chapter on consciousness and I wish ID would drop the irreducible complexity argument. Bottom line: good read for anyone interested in Creationism/Evolution topics. Maybe one day we'll all be friends and realize that in most cases perspective and understanding can be governed by personal belief. So interesting but concentrate whilst listening. Great research, I feel I need to read the paperback because it's so intense. Lee Strobel delivers over and over again. We need apologetics and reporters. Great to hear the author get excited! For once the author is telling his own story, and what a story: an atheist decides to prove there is no God! As he is an investigative journalist he does the job properly and gets into all the details of finding out proof that we and the planet we live on came about by some sort of fortunate combination of astronomical and biological circumstances. Listen to find out the results of his enquiry and what caused us all to be or could have caused us not to be. Really enjoyed this book. More and more science fight against the lie of evolution. Already read (The case for Christ). Both were prepared well and plenty of research was done. A refreshing change from the norm. Lee has a conversational style that works extremely well. He has a way of describing scientific evidence succinctly. As I listened to to the arguments he presented I became more convinced that design is the only rational explanation for our existence. One in the arm for the Dawkins crew whose arguments seem more and more to be unconvincing to say the least. An easy to digest study of science, philosophy and theology that includes a storyline to help you along the discoveries of Lee Stobel.